Are you wondering which senior living community is perfect for your loved one and how you’re going to afford it? This resource will help you in your search for senior living! It breaks down all the steps you will need to take, all the aspects of senior living you will need to consider and help you understand your different payment options. 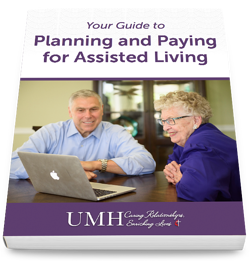 Your Guide to Planning and Paying for Senior Living will help you evaluate your current situation, plan for future care and living needs and finally, understand how to afford this new chapter in your life. We pose many questions to consider before making a decision and offer guidance into the planning and paying aspect of finding the perfect senior living community. To download this FREE guide, please fill out the form and get immediate access to your guide.